The solution for successful flea control is the treatment of the pet and the pet’s environment (if necessary in and outside the house) along with some patience. Treat your pets as soon as you can. You will get better results if all flea treatments, environmental and on-animal are done around the same time. 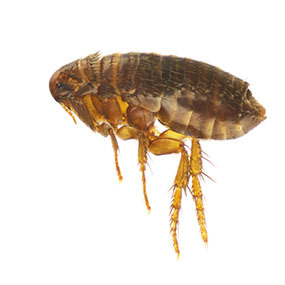 DO NOT AVOID FLEA INFESTED AREAS AFTER THE TREATMENT, AS YOU WILL REDUCE THE EFFECTIVENESS OF THE TREATMENT and especially remember the spare room, shed or places where the pet likes to rest. If you remove the pet, flea problems may appear to be worse as you become the only potential host. It is best to treat before the numbers build up. There is no need to go through the discomfort of flea bites. Entering vacant houses will stimulate any fleas waiting to hatch. This is especially a problem with vacant rental and holiday houses.